Spring was in the air two days ago in Orkney and Birsay Bay before the current "Beast from the East" arrived to blast us all with snow! However, so far Orkney has avoided the Red Alert being issued for large parts of Mainland Scotland. Contrary to many people's expectations of the Northern Isles, we are not always blasted with the worst of the weather! 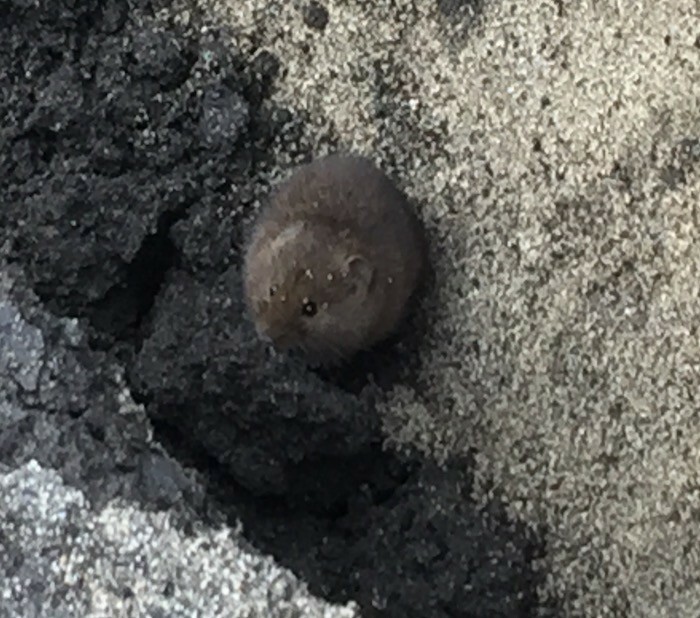 The photo below may whet your appetite for The Orkney Nature Festival and wildlife experiences here in Orkney, as it shows a unique Orcadian species that many visitors hope to spot: the Orkney vole. This one visited our neighbouring vegetable patch at Annie's Place during last autumn's archaelogical dig; Mapping Magnus. The clarity of the photo is not of the best quaity as I was taking the photo on my IPhone from a distance in order not to frighten the vole. Our self catering accommodation is adjacent to beautiful coastal walks and sites where birds and animals are easily viewed and heard! So there is so much to enjoy here on Birsay Bay in addition to being part of the Festival. Below fulmars are enjoying the sun and breeze on the newly opened St Magnus Way Pilgrimage route which passes through Palace, Birsay and past Annie's Place. As yet festival details have still to be published but the link Orkney Nature Festival should keep you up to date with details as they are posted. 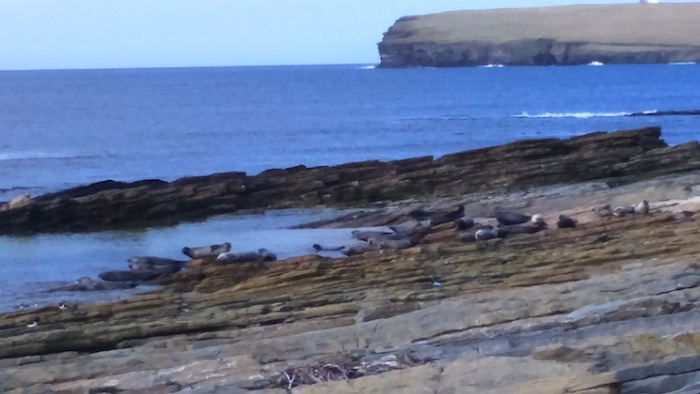 These seals basking in the sun on Birsay Bay rocks, with the Brough of Birsay in the background, give you some idea of the pleasures to be viewed from Annie's Place shoreline.